At least 20 people have been left dead and dozens others wounded from the blasts. Guards at Hotel Sahafi and CID officers opened fire after the blasts, police added. The number of people killed when suicide bombers and gunmen struck a popular hotel in Somalia's capital has risen to 39 from the initial 22, police said on Saturday. The first two blasts took place nearly simultaneously at 4 p.m. outside the Sahafi hotel, while the third came 20 minutes later in the garage of the adjacent Hayat hotel. "Armed members from the Shabab Al-Mujahideen carried (out) a complex attack targeting Sahafi hotel in Mogadishu where senior Somali government officials stay", the militant group said in a statement quoted by a pro-Shabaab website. "The death toll is sure to rise". 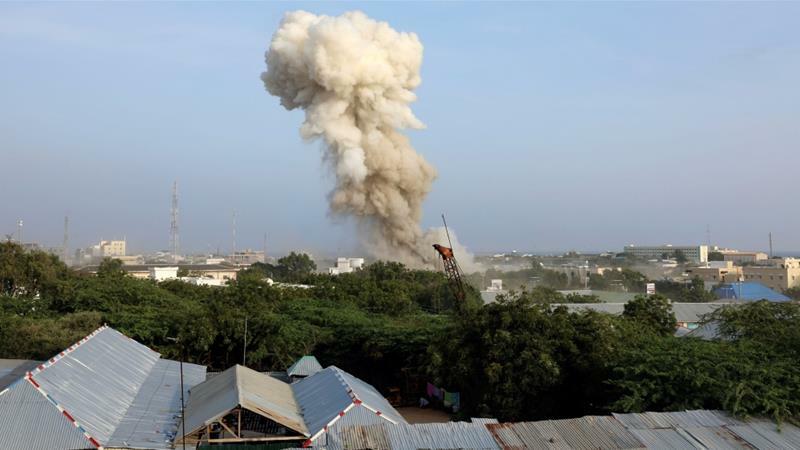 "Most of these people were civilians who were passing by the area when the attack occurred", Abdulahi Ahmed, a Somali security official, said. "Two other militants were suicide vehicle bombers who were blown up by their auto bombs". Shabaab has remained a persistent threat to the Somali government and neighboring countries despite efforts by both the African Union and the United States to defeat it over the past decade. "Government officials and security forces are always in the hotel", he told Reuters.